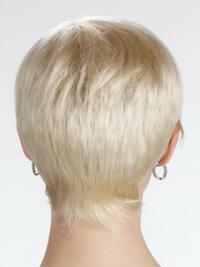 Precision cut, asymmetrical short with a softly tapered nape. Versatile style can be worn spiked or smooth right out of the box. Light weight, easy care, chic fashion. 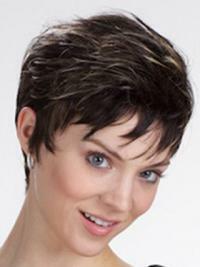 Made with Naturlite, exclusive blend of certified Heat Friendly Synthetic Wig fiber. Nice wig. Great style and color and texture of hair are lovely. I think I just need to get used to that, as I have never had a wig with any volume on top. Style is appropriate for all ages and occasions. A winner - highly recommended. I like this very much! I got it in 28. Have got a lot of compliments on this style. It is thin which I like. It flows nicely and fit perfect just the way it was shipped. 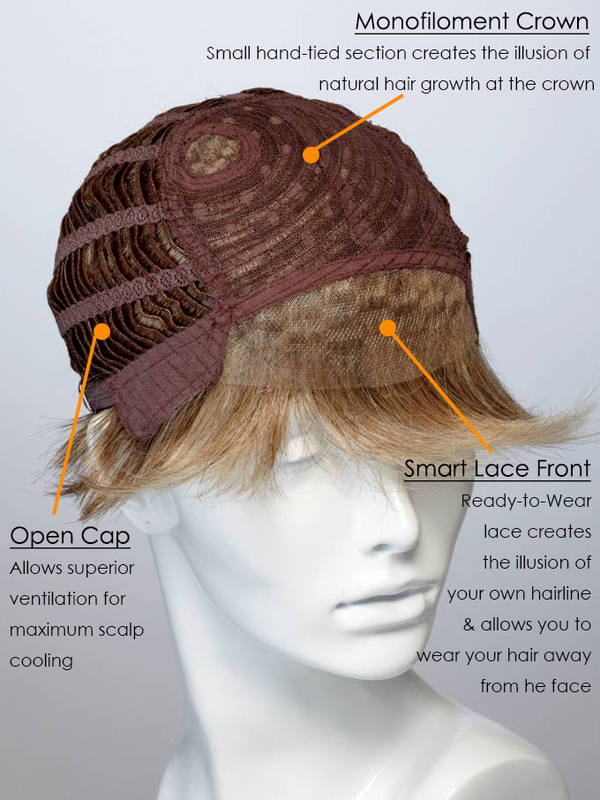 It vents well and is very comfortable in the summer sun.